J. Allison Robichaud was born in Newcastle, New Brunswick, and currently resides with his wife Margot J. Snow in Sarnia, Ontario. Allison is a self taught Plein Air painter, well known for his floral and still life paintings in addition to his landscapes. Represented by galleries in Ontario and has had over 25 solo exhibitions. He has participated in many of Canada's most prestigious Art Symposiums. Working almost exclusively in oils he has earned the respect of fellow painters for his dedication to his craft and tireless research efforts, including years of self study, dedication and passion towards the expression of his own point of view. 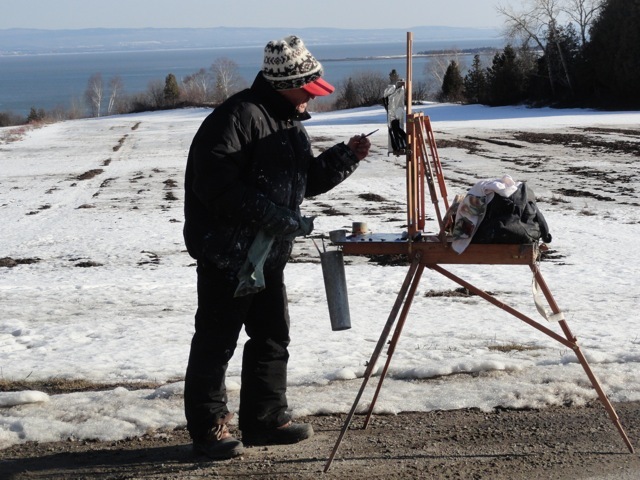 In his third book, Allison continues to share his experience in the difficult tasks of being a plein air painter. He has been interviewed extensively on radio and television and his work has been reviewed by newspapers, as well as several magazines in Canada and the United States.